Tea, coffee etc. Provisions for breakfast on your first morning. Two bedrooms, one with a queen sized bed, one with twin singles. There are electric blankets on the beds, and alpaca doonas for winter. All three beds have new pocket spring mattresses. There is also a very comfortable, queen sofa bed in the lounge. 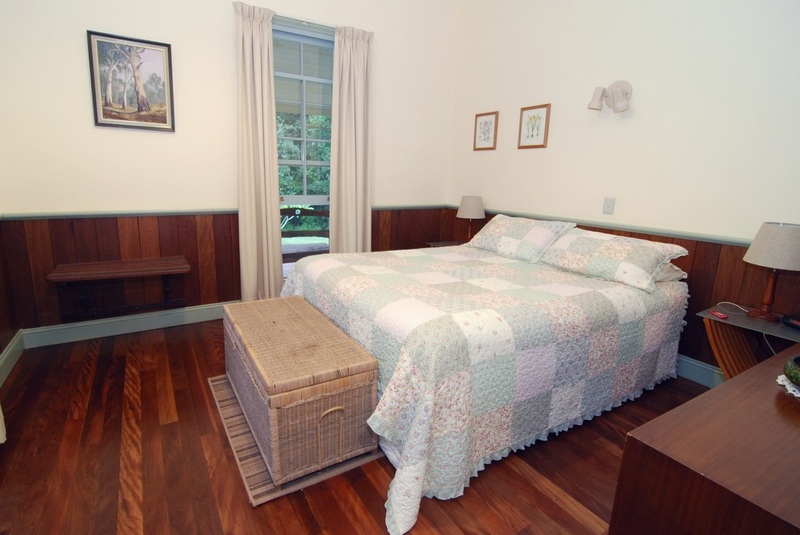 All bedrooms have a ceiling fan and large windows. 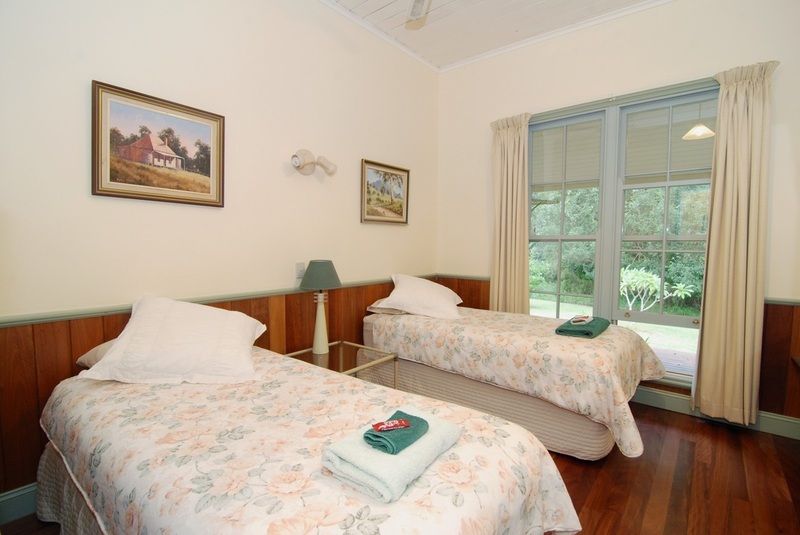 Fernridge is fully supplied with quality linen and a guarantee of a great night's sleep. 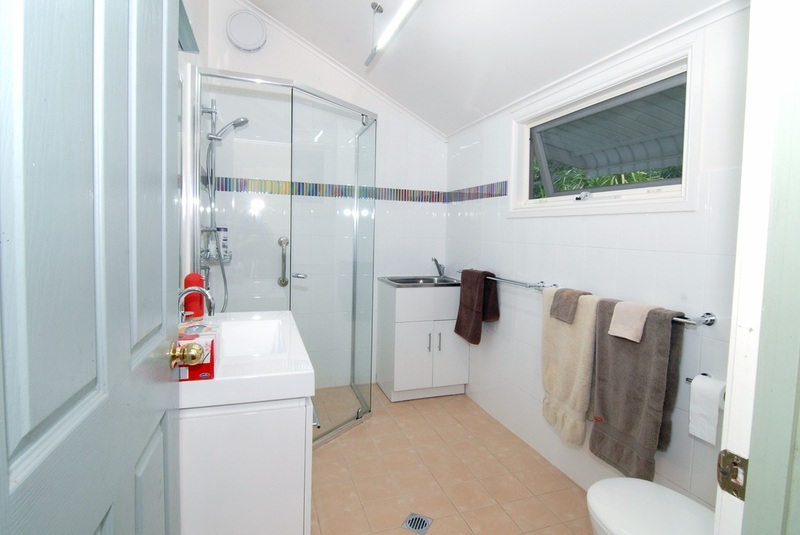 The bathroom was renovated in February 2010. 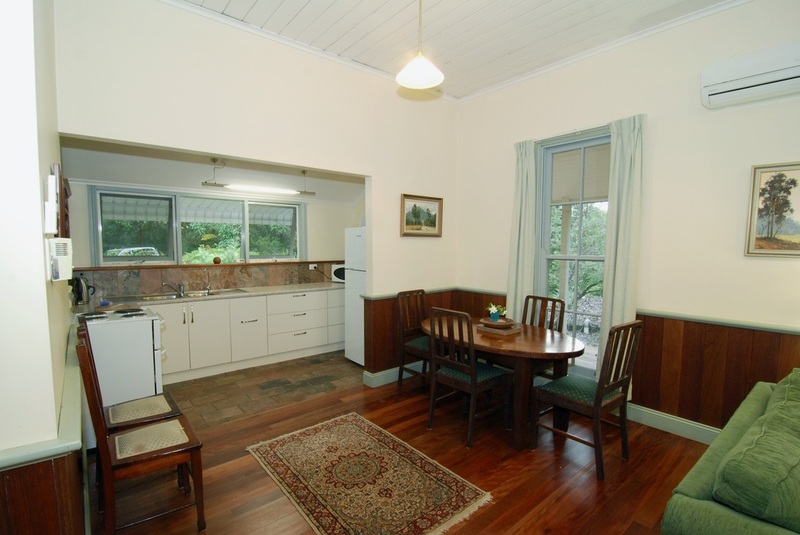 In 2012 a laundry with washing machine and dryer was built onto the verandah. There is a clothesline on the veranda. Fernridge has a comfortable outdoor setting on the recently enlarged front verandah; there is also a gas BBQ and outdoor eating area. The lawn surrounding the cottage is large, well maintained and frequented by a number of native animals, including bandicoots, wallabies, possums, echidnas and a large variety of birds. Apart from alpacas, currently numbering 8, we have two fluffy white dogs called Pepe and Bella and a large friendly german shorthaired pointer called Ralph who likes nothing more than to play with children and other dogs. Our eclectic collection of chooks allows us to include the freshest of eggs in your initial breakfast provisions. We are generally happy for you to bring your pet - Fernridge is dog friendly - but please talk to us first so that we can confirm its suitability and welcome. There is no secure yard for dogs, so it is your responsibility to ensure your dog stays nearby.